cali≠gari to Release New Full Album + "トイレでGO! (toilet de GO!)" 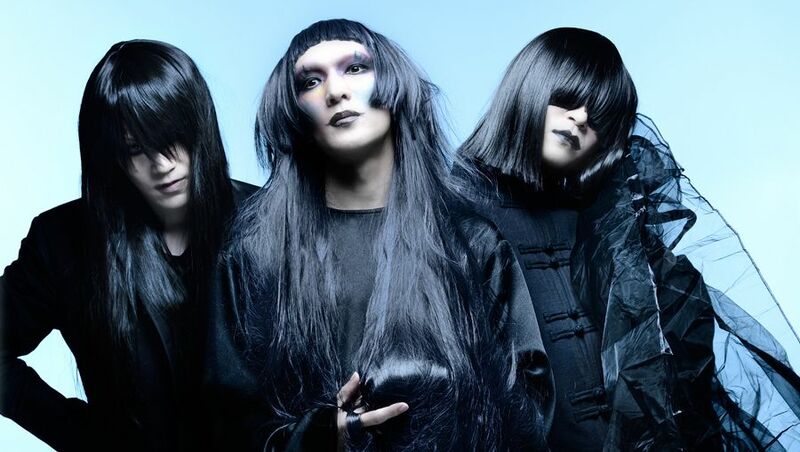 MV Preview | VKH Press – J-Rock & Visual Kei Coverage Worldwide! This year there will be a very important date for cali≠gari since they are celebrating their 15th anniversary after their major debut! For this special occasion they prepared something great for their fans: A new full album! 13 is its title and it will be available on May 10th. You can choose between two different types: A limited edition for 6000 yen including a Blu-ray with scene recordings of 13 and an off-shot video. 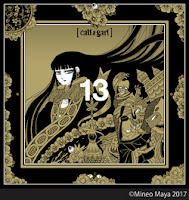 It also comes with a cover art drawn by manga artist Mineo Maya. You can buy it here from CDJapan. For 3000 yen you can get the regular edition coming with CD only. CDJapan is selling it too, so click here if you want to pre-order it. Moreover, you can download their song 汚れた夜 (kegareta yoru) on April 13th for 251 yen! It's a different version than the one included on their album, so it'll definitely be worth it to get this one too!